If you're tired of getting bullied by the competition, then steam roll over them at the next trade show or exhibition by having simply the best promotional giveaway. 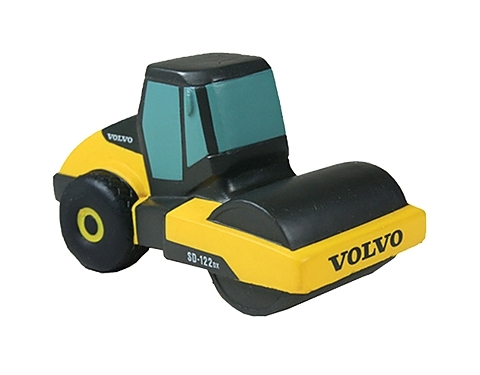 Our steam roller stress toys are sure to let your customers know that you'll flatten the competition in terms of price, product selection, and customer service! These custom printed stress relievers are made out of soft and durable polyurethane so your recipient can squish and squeeze to their heart's content without worrying about hurting their hand. You'll be able to get your company's name into their hands without being pushy or aggressive, just hand out them out with your business card and you'll make a better impression than your forceful and loudmouthed competition shouting and hollering in the next booth.